When Ron Shashy, MD, ENT, was looking for a location to start his private practice, Ear, Nose and Throat Specialists, PLLC, in 2006, the Bariatric Center of Excellence at Georgetown Community Hospital (GCH) factored prominently into his decision process. Shashy knew that 70 to 80% of bariatric patients have sleep apnea and many of them are undiagnosed. “I felt that an accredited sleep center was another service that we could bring to Georgetown Hospital for its bariatric patients,” says Shashy. And he was right. The Sleep Center at Georgetown Community Hospital is in its fifth year, and patient volume continues to grow. Board certified in both Otolaryngology and Sleep Medicine, Shashy is the medical director of the GCH Sleep Center. He oversees all of the scoring and interpretations of the center’s sleep studies. Shashy led the center through its accreditation process with the American Academy of Sleep Medicine (AASM) in 2007. “We reach and exceed the national standards for sleep centers in diagnosing and treating sleep and restless leg disorders,” says Shashy. Marketing the GCH Sleep Center is an additional role that Shashy embraces, seeking to educate area primary care physicians on the 80% to 90% of patients who are undiagnosed with sleep apnea. To further this end, he conducts seminars with prospective patients at GCH educational events and meets individually with area general practitioners, oral surgeons, and dentists. “As an ENT physician, the vast majority of patients that I see with sleep disorders have obstructive sleep apnea (OSA). But even as a surgeon, my first therapy is CPAP (continuous positive air pressure) because it is successful in nearly all of the patients, if they will use it,” says Shashy. But, he says, half the patient population with OSA will not use CPAP. Oral appliances and corrective surgery are Shashy’s alternatives. Behavior modification is also recommended for a majority of patients. He stresses weight loss and exercise, both of which are part of his daily life while training for the Ironman triathlon. “I speak to my patients regularly on the value of fitness,” he says. The growing population of patients with sleep disorders is his real concern. The population is getting more obese, which translates to more sleep apnea, diabetes, and hypertension. “The greatest conflict I see is that the payment organizations, such as Medicare and insurance companies, want to spend less on sleep disorders, but the demand is increasing,” states Shashy. Many physicians take a circuitous route to finding the home for their private practice. In this respect, Shashy is no different. He graduated from the University of Notre Dame in South Bend, Indiana, in 1991, and then spent four years in the U.S. Army as a Blackhawk helicopter pilot, taking a tour in Kuwait. 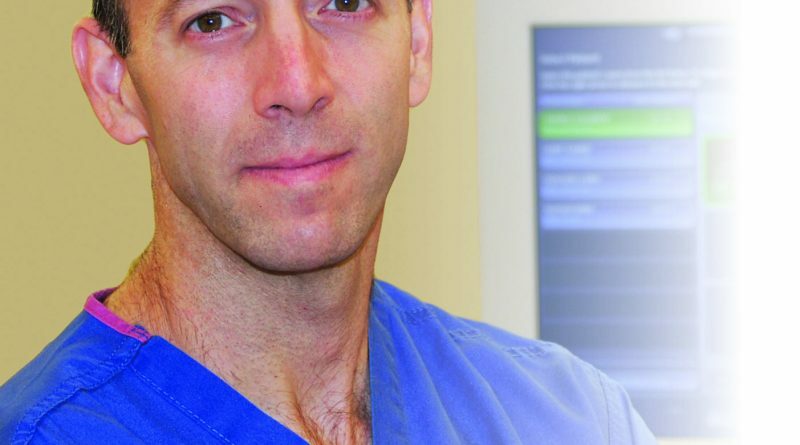 In 1999 he graduated from the University of South Florida Medical School, and then completed his otolaryngology residency at the Mayo Clinic in Rochester, Minnesota. 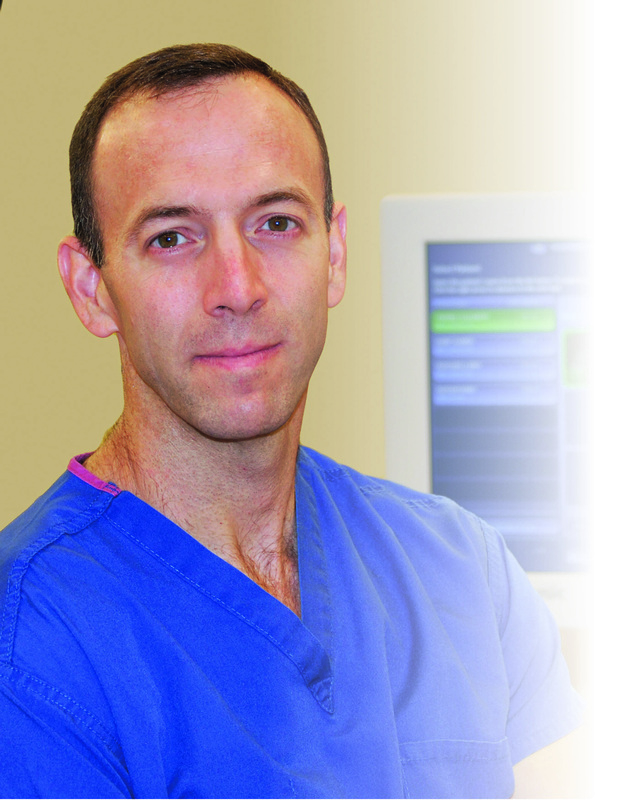 He is board certified in otolaryngology, head-neck surgery, and sleep medicine. After completing his ENT specialty training in 2004, he spent 18 months at a private clinic in Conyers, Georgia, before he and wife Evelyn found Central Kentucky. In 2010, Shashy opened a Frankfort ENT clinic with partner Chad Ahn, MD. Shashy describes his diagnostic method as “a regional approach – anything above the clavicle.” His goal is to take a fresh look at the problem uncovered by the general practitioner.